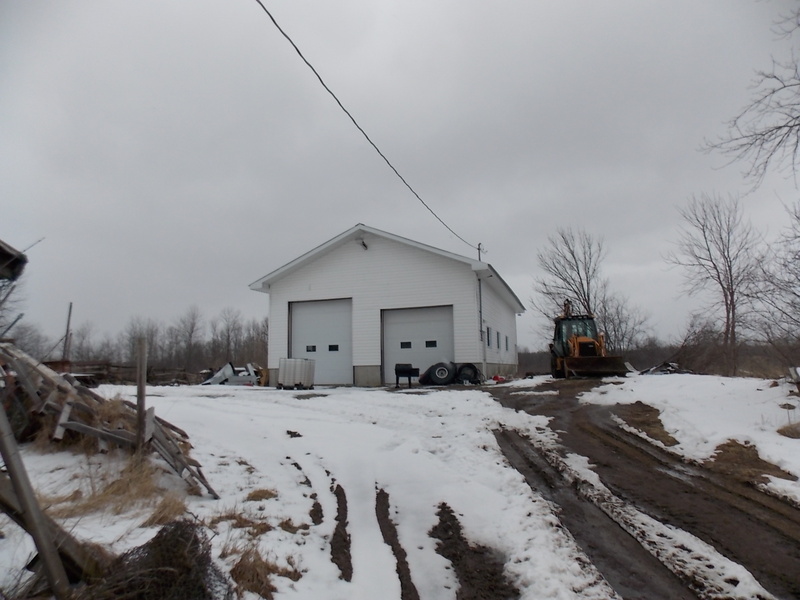 Great chance to own land with septic and well on site. Huge garage 50 X 30 with 2 giant bays. Has up stairs mini apartment with, living room, bedroom full kitchen and 4 pc bathroom. Approx 50 acres of land some bush some wooded many places to build your dream home, priced to sell come have a look wont be disappointed!! !